If you are seeking a content writer contact me at jwojdylo@gmail.com. I have several monthly packages that can help your website rank higher in Google search through consistent, quality content generation. Content creation is not something that is easy. Many small and medium sized businesses have their work cut out for them in every facet of the endeavor. Whether it be human resources, marketing, customer service or just paying the bills, there is a lot going on. The same can be said for anyone that sells a product. Real estate agents, lawyers, doctors, orthodontists, optometrists and salespeople have way too much work to complete to have time to market themselves on the Internet through content. Unfortunately, for the busy, content is king and it is needed to remain relevant. Time and again we have heard from Google that search engines want fresh content. If individuals are working 50, 60 or even 70 hours a week how are they going to find time to write or produce content? Most won’t find the time. That is why most would be smart to just hire a content writer. Are Social Media Shares More Important Than Content? Anyone that has attempted to write content on top of the other responsibilities knows just how difficult it can be to manage time. For the most part, a 200 word article is simply not going to rank well in Google search. Search engines want fresh content but they also want it to be quality. Blasting out 150 words is not necessarily going to distinguish yourself as an expert on a subject. Even though this is the case it does not mean that you cannot benefit from your knowledge. When hiring a content writer you can direct them to resources that you have written or read. It is also a good idea to ask a content writer or copywriter for some samples of their work in different niches. After reading a few sentences it will not be hard to decide if this individual will help your bottom line. Ultimately, it comes down to the value of time. If you are an individual that is needed in other areas of your job there is absolutely no reason to spend a couple hours a day or week writing content. Your skill set is needed elsewhere. Allow someone that has written at length to create that amazing content to share on your social profile or website. With Google Authorship now being a big part of content creation your website will benefit greatly from someone who has built up expertise in content creation. There is no reason to spend hour upon hour trying to build up this content when someone else has already laid the foundation and they are available for hire. A copywriter is definitely worth the investment. It is very important to do research when looking at a content writer. There are going to be errors here and there but ultimately you want someone that looks and writes the part. One would think that some social media presence is needed as this is a way for them to show their expertise. If you are seeking someone in a specific industry look at the social media communities that house that type of conversation. Large website owners such as Rand Wilson, owner of Grown Up Geek, are willing to pay for content because they know how valuable it is for their website. Can Rand write the content himself? Absolutely. Is it worth his time to do so? Probably not. This is why he allows others to create that fresh content that helps Grown Up Geek gathers over 10,000 visitors on a daily basis. Trust me when I tell you that fresh content is important when it comes to gaining search traffic and gaining sales, converting and making money. After hitting publish on the original post I was shocked at the response I received. Within a few weeks I had over 20 emails in my inbox asking what type of services I offered. It has been an interesting six months as some things have changed but some things have remained the same. I am still a very firm believer that content should be the foundation for building any type of online presence. Whether you are a personal injury lawyer or an athlete you will need some type of content to grow a following or a presence on the web. As my clients increase I have become aware of the fact that content is important but they have many other concerns as well. Some need help with Google Analytics or Google Adwords while others need updates to their WordPress blog with SEO related plugins. I did not realize how many Internet related “issues” are not common knowledge. From the beginning of my Internet Marketing adventure I have been a perpetual learner. I didn’t even realize it, but I have built a skill set that is quite rare. In five years I have exposed myself to Google Analytics, Adwords, Adsense, GMail, Google+, Blogger, Android, Google Maps, Google Trends, the Google Keyword Density tool and pretty much every other Google product that can be used to enhance a website or consume internet content. While I know Google is a large part of the Internet, it is not all of the Internet. I have also exposed myself to all things WordPress. I have adjusted themes, found the best plugins and added widgets that work well on sidebars. I have tested ad layouts and general WordPress layouts to help clients get the most business from those visiting their website. WordPress and Google are my cornerstone but I have also jumped into Twitter, Pinterest, Snapchat, Instagram, Reddit and Imgur. If there is a social resource that can help businesses gain exposure I am all over it. Ultimately, my goal is to help businesses rank in Google search. There are many ways to do this. Hiring a content writer is the first step which is exactly why I wrote this article. If you are looking to complete other pieces of the puzzle there is a good chance I can help with those as well. Feel free to reach out to me at jwojdylo@gmail.com and we will discuss how I can help you to get more business. Every week I answer multiple phone calls from companies and businesses that want “the SEO”. I rarely, if ever, hear these CEOs, entrepreneurs, doctors, dentists or lawyers say they need more content. They want the special “SEO”. Don’t ask me what they think the SEO is but they want it. What they do not realize is that the most important factor to rank a website on Google or any search engine is to provide amazing content that the visitors want to consume and share. Please note that just slapping words on a page that were copied or taken from somewhere else is not the type of content you would want on your business website. Something that is very challenging for those in the business world is to think outside the box of their business. If they are a personal injury lawyer they know all about car crashes, slip and fall accidents and vehicle rollovers. They have read thousands of pages on these topics but they haven’t had to think outside the box to write about something truly unique. When it comes to car accidents it would likely be a good idea to provide a resource that helps to explain what to do shortly after getting into an accident. Another great piece of content would be an explanation of what the police are looking for as soon as they reach the scene of an accident. For more on personal injury lawyer SEO and content creation check out the linked resource. Vehicle car insurance is a very difficult topic to understand. Why not write an article explaining what it takes to receive a check after the claim has been filed. How long does this take? How many people are involved? Are there specific 1-800 numbers victims can call to get a claim filed quicker? As a personal injury or car accident lawyer these are topics that you deal with on a daily basis. Why not create content to truly show your area of expertise. If you are seeking a content writer or copywriting that can come up with very creative ideas please reach out to me at jwojdylo@gmail.com. As we continue to progress into the “social” era of the Internet many SEO gurus and experts have claimed that social shares actually matter more than content. Let me be the first to say that I could not disagree more. Content will always be the foundation for any website. The only way Google can index and rank a website is for that particular entity to provide content that deserves to be ranked. If you are spending $2000 a month on social media such as Facebook, Twitter or Pinterest you may be neglected the most important “SEO” of all which is content. No matter how viral a post goes on Facebook, Twitter or any other social network it is just one post. The number of keywords that can be found through search from that particular resource in limited. Instead of writing one blog post and resharing all day for weeks it is best to write more, and better, content. If you are unable to write content you should hire someone to do it for you. Look for SEO copywriters that have experience in your industry. I would also strongly suggest finding and hiring someone that is very creative with they way they submit the content to your website. I have repeatedly mentioned creativity throughout this resource. I cannot express enough how important it is to think outside the box. Too many business websites are doing the exact same thing as their competition. If your business website is not creating unique and interesting content there is no reason for the Google search engine to rank your website higher than your competition. To beat out your competition you need to do something remarkable which may include videos, photos or long form content. Sadly, I see many business owners get sucked into the echo chamber that is social media. These claimed social media gurus are trying to sell you the service of social media as a ranking factor when they cannot rank their own website for the keywords they are going after. Nine times out of ten the reason for this is they are spending way too much time on social media and not enough time creating content. In my latest article I explain why Facebook Likes have little SEO value. SEO copywriting has been a buzz keyword phrase over the last several months because of all the new Google algorithm changes. The latest change, Panda 4.0, went after websites with thin content. It is shocking to me that companies making millions of dollars will invest money in writers or SEO agencies that provide them with a single 300 word blog post a week. Any business owner that thinks this is going to work is in for a rude awakening. It is unfortunate because most business owners do not know any different. They see what their competition is doing and they try to emulate it. What they likely do not realize is their competition has some very long articles or pages behind these 300 word blog posts. Something I suggest to all of my clients is to have “money” pages that can be expanded over the course of time. This particular resource is an example of a “money” page in that it has been updated to over 2000 words of content. When all is said and done I hope to have over 10,000 words in this article By creating a lengthy article with amazing depth it gives the visitor plenty to consume. It also allows Google to index and rank many different strands of keywords. This means even more searches will trigger the query for this particular resource. Content is the currency of the internet. Every day, individuals all around the world consume content by the gigabyte. Content makes the web the place to be. We would not spend hours surfing on our smartphones, tablets, laptops and desktops if there was nothing to look at or read. Ever-growing, feed the machine content and it keeps moving forward. More content means more information. More information means more opportunity to be at the forefront of knowledge sharing. Bad content makes a happy person depressed. It’s true! In this day and age, we do not have time to waste finding poorly formed, obscure, or thin content. We do not want to spend hours seeking out a service we need, only to be confused about what that service offered really is. Disappointment does not generate revenue. Quality context built around strong content creates a lifetime value and lasts longer than a couple days. For service professionals who are not skilled at the written word, content writing for a website seems like a daunting task. It is important for business that offer services to prove its worth through content that is precise and indicative of the value of its services. Service professionals should hire a content writer, or two. Service professionals need to hire a content writer. It saves time and generates a lifetime of referrals from multiple internet channels. Content writers provide service professionals and business owners the opportunity to excel at being visible on the internet and reaching future customers where they are at. Great content captures a target audience and answers tough questions. One of the best, most profitable investments for long-run decision making is using a content writer to amp up your services business online. 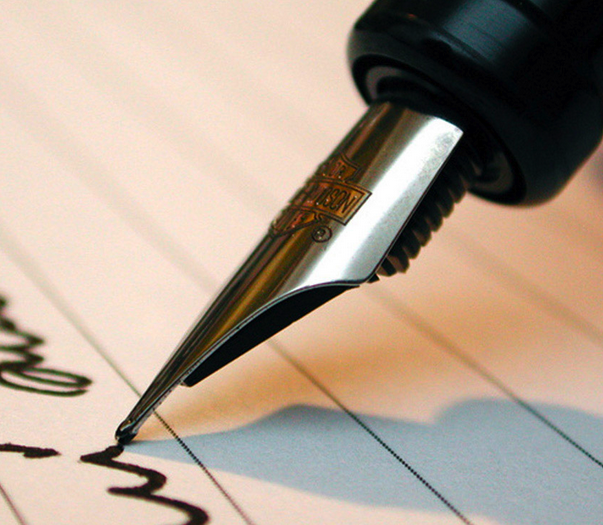 Service professionals should hire content writers because writing is their specialty. Content writers dedicate themselves to researching and understanding concepts to the point of simplicity. To use a quotation from Einstein, if you can’t explain it simply, you don’t know it well enough. Content writers build text and pieces of content around this idea. A concept, in this instance, the service provided, must be expressed in simple terms. Content writers break down topics, so you as the service provider do not have to deal with the time required to construct targeted messages and information. It is their duty to pull from your expertise and translate it to the web world. They take your service acumen and package it into a searchable solution. They give the services you provide the ability to be found. No matter what industry you service, car mechanics to psychotherapy, it is critical that the breadth of your skills and expertise is available online. Your business depends on it. Generations are growing up and expecting guidance right at their fingertips. Sure, parents and elders relied on newspapers and phone books to find an individual to repair the inner lining of a window or fix a refrigerator. Some still do. But the time will pass and the web presence of a business will reign supreme. When web availability takes precedence as an indicator of trust, the winners will be service professionals who took the time to build content around what they offer. Quality content lasts over time and authority will be established for those businesses with long-lasting information. By using a content writer, service professionals can manage their physical operations and let the writer guide their online identity. Content writers provide service professionals the opportunity to be authorities in the industry. The pioneers in the internet space who provide the most detail will be the victors. Content Writers explain services in words and in detail. Content writers have the time to go into detail. A good content writer will take a simple concept to the next level. Through use of analogy and experiences, the writer shows how the service works and what it takes to deliver the service. By describing a service in detail, the content writer provides a consistent vision of what will be received if a customer purchases it. Reading through the explanation of service, the customer gains a thorough, high level overview of what to expect and if the service offered is what he or she truly needs. Content Writers express value and purpose. Content writers have the ability to show why a service is needed and how it can impact the potential customer. They build from what types of services are offered and create a roadmap of what comes out of the relationship before and after purchase. A good writer will make the case and prove the worth of a service from all perspectives. A future customer needs to be confident that they will be satisfied at the end of service. A content writer has the ability to integrate past client experiences and imagine hypothetical situations that a future customer may deal with. The writer has the ability to develop value of service through the care taken to write out potential scenarios. They make a future customer more comfortable doing business. Content Writers answer questions in advance and anticipate future solutions. A strong content writer anticipates questions that a future customer may be thinking of prior to calling or contacting a service professional. Instead of one sentence answers to frequently asked questions, the writer gets into the mind of a client and thinks of what they need to know before seeking out a service. Often times, the future customer may be confused about the problem or issue they are facing and do not know what service they need. By offering the steps taken before, during and after acquiring the service, the customer has a clear sight of what the future of working with that service professional will be like. Quality content that offers simple insight into often complex services allows customers to feel at ease. The potential client can read the answers from examples and reflect on what comes next. Content Writers give you more time to do what you’re good at. Content writers specialize in writing content. The sentence seems redundant but it is more true than words could ever justify. Web content is a tricky business. Content is mass manufactured and regurgitated at high rates online. By receiving writing service from a high quality content writer, a service professional can be confident that the business is in good hands. If writing is not the specialty of a service professional, they need to spend the time doing what they do best rather than tackling a skill left to another professional. If you’re a plumber and you’d rather spend more time under pipes than fumbling with descriptive sentences, a content writer should be your best friend. A content writer takes on the role of being an expert in that particular service field or industry so that a service professional can build their business doing what they offer. It’s simple! When choosing a quality content writer, a service professional should be picky. If growing a business online and finding new clients is crucial, expressing your service in the right words is important too. Making sure the content writer who is hired has a strong grasp of research, in addition to a creative mind, goes a long way. Be sure to ask the content writer how they come up with ideas or how they plan to create the content. A strong content writer will answer your questions and then ask you back more questions than you did. You should require to see examples of work and have an explanation of the significance and the potential impact it had. With all this in mind, now you know why service professionals should hire a content writer. May all your content be quality and your service be in abundance. If you are a lawyer, doctor, dentist, dermatologist, oral surgeon, orthodontist, plastic surgeon or any other service professional and are looking for a content writer please feel free to contact me at jwojdylo@gmail.com. I can provide content for your website that will help it rank much higher in Google search while also helped your potential client find what they need. Over the last few days I have completed extensive research on Yelp and other review websites. I even created this resource: How to Get Business From Yelp. It should come as no surprise that the review websites with the most quality content are doing the best in search and in terms of total usage. When comparing the Google Trends chart for FourSquare and Yelp it is not even comparable. Yelp is destroying all other review websites besides TripAdvisor. I feel as if TripAdvisor is getting more searches just because of the deals and discounts on flights and hotels. While Yelp has been venturing into this type of offering it is not known for getting users a great price on a hotel room. When giving a Yelp review there are some users that will go into great detail. It will be interesting to see how this plays out over time when more and more people review on their smartphones. It is very hard to type a long, drawn out review from a smartphone as most people are only going to post a few sentences. These shorter reviews are valuable to Yelp but not nearly as valuable as those reviews that are 10 or 15 paragraphs. These longer reviews are keyword rich which allows more people to find them in Google search. I also noticed that after completing a review Yelp encourages you to share it with friends and link to the review. This is SEO value at its finest. While Twitter and Facebook are not crawled by Google it is still a branding opportunity for Yelp. It is also a way in which they can get more users to see the reviews and offer their own reviews. If I notice that one of my best friends has reviewed the Flying Beagle Bookstore in Saxapahaw, North Carolina there is a very good chance that I will go do the same. If I am a competitive person I may even make certain that my review is even longer than his or hers. Yelp has strategically offered data to show how many reviews you have completed. Within the About Me page there is a way to see your ranking today, in the last week and in the last month. These are all things that Yelp is doing to encourage users to live more valuable content on their website. The more lengthy reviews they get the better it is for the user experience. Not only is this better for the user experience but it is also better for SEO and search engine optimization. Think about all those amazing reviews that are being completed at this very second. Getting free, valuable content to a website is the dream of any business website owner. Unfortunately, there are going to be some users that are trying to just get more reviews for themselves but I would assume that Yelp is doing their best to police this. Over the course of the next few weeks I am going to complete many Yelp reviews which will only help their website more. My intention of this is to see just how much it helps with search rankings. It would not surprise me at all to see many of my reviews end up at the top of the Yelp reviews even though there are hundreds of others. I will be sure to post my findings here. What you should understand at this point is that content is and will always be king and Yelp is a perfect example of this. Service professionals often struggle to create consistent content for their business websites. These lawyers, doctors and dentists are had at work with patients and clients. In all reality, they should not be sitting at a laptop or desktop computer pumping out content. What they should be doing is using their skill set to save lives, teeth and address legal matters. Instead of spending multiple hours a day at a computer it is a wise business decision to hire an SEO copywriter or content writer. One legal vertical that continues to see heavy competition is personal injury. I have worked with many personal injury lawyers and they realize the value of ranking in Google search. When potential clients get into a car accident or slip and fall their first reaction, after seeking medical attention, is to find legal representation. When looking for legal representation they are not going to look at the Yellow Pages or wait for a TV commercial to come on the air. They are more likely to grab their iPhone or Android and search for an “Atlanta car accident lawyer”. The attorney that ranks #1 on Google search is likely to get this business. Now that Google Authorship photos have been removed from search it is even more important to have a search ranking near the top. Those that have been hurt and have missed work are in need of money so ranking in Google search is of the utmost important to lawyers and attorneys. Anyone that desperately needs money right now is going to do what it takes which means hiring a lawyer to represent them in the court of law. The best way for these lawyers and attorneys to rank in Google search is through quality, consistent content. Time and again I will hear law firms discuss “The SEO”. As I have mentioned multiple times, “The SEO” does not matter if there is no quality content on the website. In fact, if the content is shallow and is only updated once or twice a month it is going to be nearly impossible to rank on the front page of Google search. One of the best business decisions a law firm or practice can make is to hire a copywriter that has experience writing from the perspective of a lawyer. This is a very difficult skill set to find. There are tens of thousands of copywriters out there but many do not understand the legal industry. If they do not understand the legal industry it is going to be like pulling teeth trying to explain the keywords that are being searched by those that have been in accidents that have caused spinal cord, head and neck injuries. If you are looking for an experienced lawyer copywriter that has written thousands of articles for this industry please feel free to reach out to me at jwojdylo@gmail.com. Why Google+ is Succeeding | Content is King, But Do You Have the Time to Do It? Just an FYI, I found your article via Mike Allton’s share on Google Plus. Pingback: Who Consumes Social Media Content?